How can we improve the findability of born-digital records in literary and publishers’ archives? How can we use these collections to produce new knowledge? 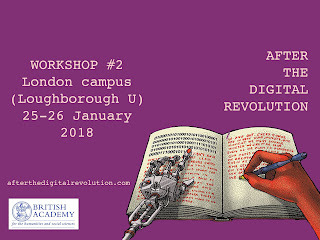 This workshop in London (25-26 January 2018) is the second of two “After the Digital Revolution” events funded by a British Academy Rising Star Engagement Award awarded to Dr Lise Jaillant. It will bring together 30 participants, including 15 early-career participants to discuss and improve the findability and usability of born-digital archives. The first workshop in Manchester focused mainly on the issue of the preservation of born-digital collections (including the recovery of emails). But preservation is not enough: an archive needs to be findable and usable. For example, the Ian McEwan collection at the Harry Ransom Center (Austin, Texas) contains eighty thousand messages going back to 1997. But few scholars know about these emails, and access is complicated due to technical issues and privacy concerns. How can we make born-digital records easier to find? How can we use these collections to produce new knowledge? Contributions are invited from archivists, literary scholars, historians, policy makers and anyone with an interest in digital archives. Each participant will be asked to prepare a 10-minute contribution addressing the specific theme of the workshop. Contributions can take the form of a short paper on current project(s) or a lightning talk to share a specific tool/ method in relation to the workshop theme. In addition, early-career participants (within ten years of their final degree) will be asked to prepare a poster summarising their contribution to the workshop. 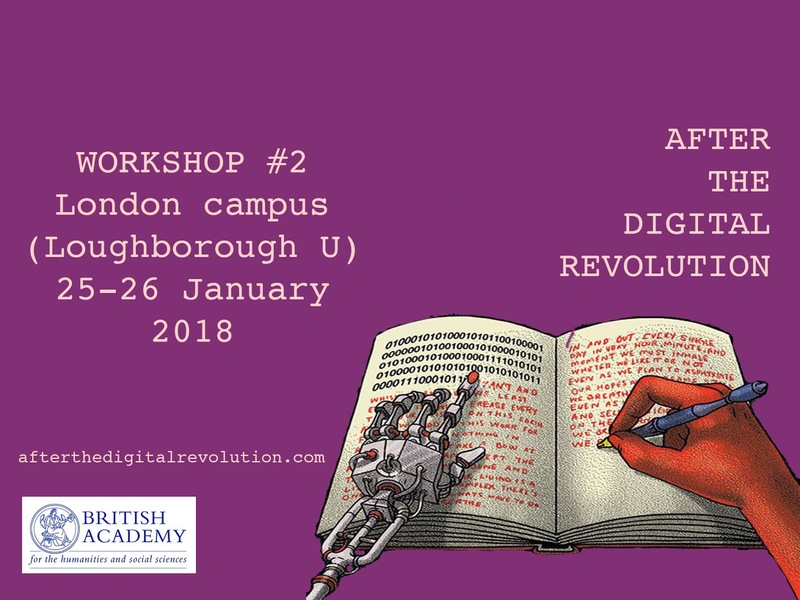 This workshop will lead to the publication of an edited collection that will leave a lasting legacy and contribute to a better future for born-digital collections and their users. If you would like to participate, please send a CV and 300-word description of your planned contribution to: l.jaillant [at] lboro.ac.uk by 30 October 2017. A limited number of travel grants will be available. Please indicate if you would like to be considered for a travel grant.